Kling Tite is a pressure sensitive, non-adhesive surface protection film. 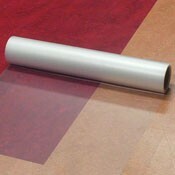 Because there is no adhesive to transfer, there is no time limit for application - use this floor protection film as long as you need it for building or remodeling projects. ***This item is currently out of stock.